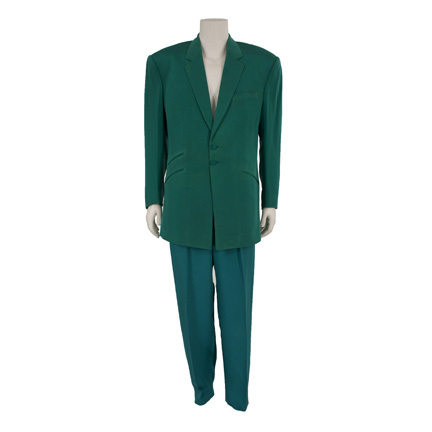 This suit was worn by the character “Sid 6.7” played by actor Russell Crowe in the 1995 motion picture “Virtuosity” starring Denzel Washington. 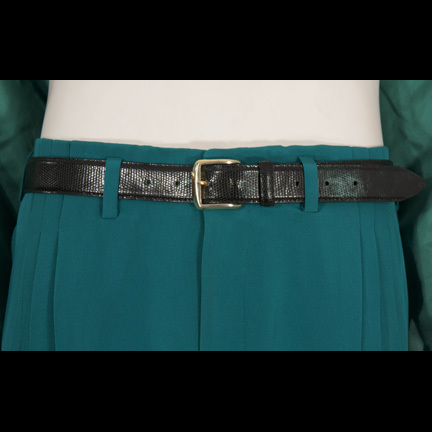 The outfit consists of a leather belt with gold/brass buckle and a two-piece emerald green two-button suit featuring self covered cloth buttons on the front and cuffs, diagonal slash pockets near the waist, and a front breast pocket. 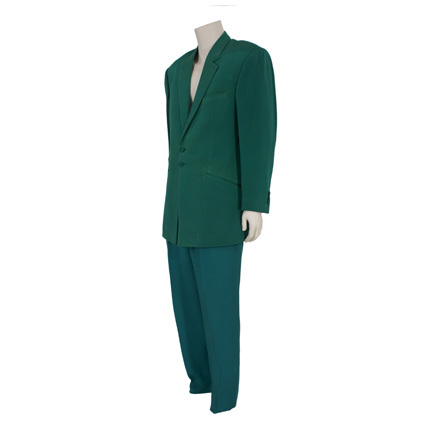 The suit was custom made for Mr. Crowe’s use on the production. 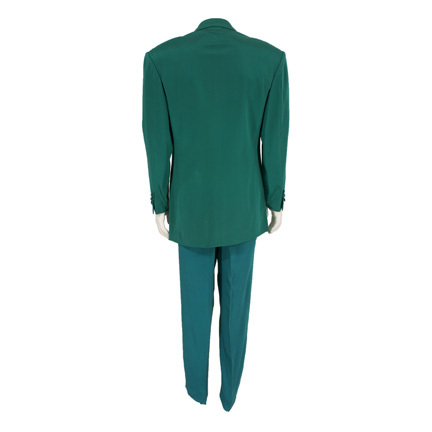 This was Sid’s signature suit worn during the first half of the film while in the “V.R.” (Virtual World). 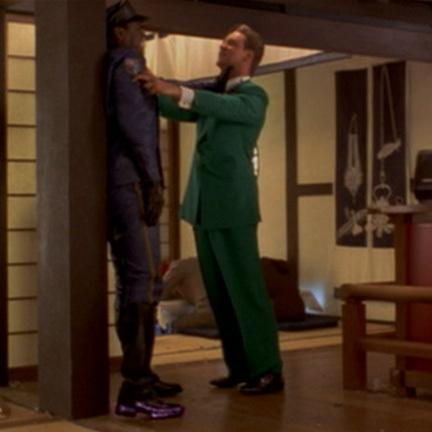 He first appeared wearing it in the opening sequence of the film when tracked down by “Parker Barnes” (Denzel Washington) and his partner “John Donovan” (Costas Mandylor) while in a virtual world Japanese restaurant. 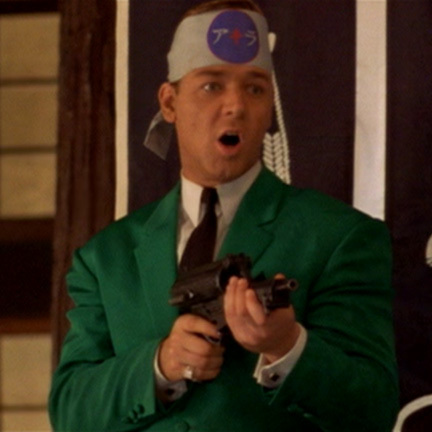 After a gunfight ensues, Sid kills Donovan and then ambushes Parker, grabbing him by the neck before “disintegrating” him back into reality. 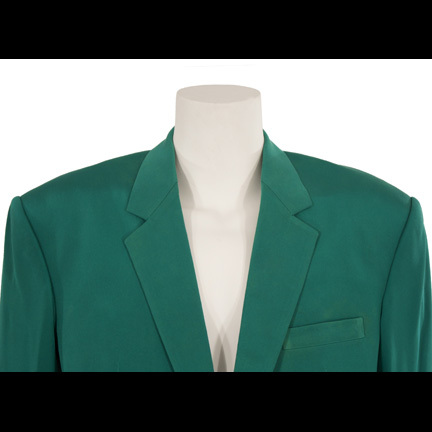 Sid later appeared wearing the suit in several other key scenes while on a digital screen display talking to V.R. programmers. 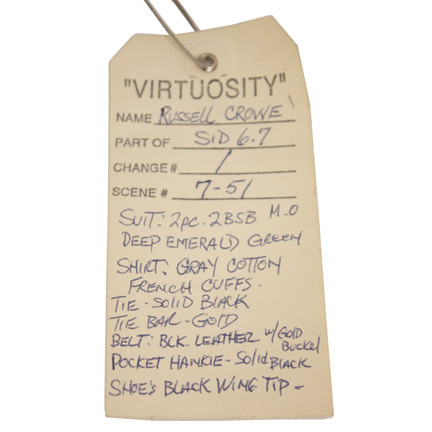 The wardrobe is complete with the original costumer’s tag attached listing film title, actor and character names, scene / change numbers, and complete costume description. 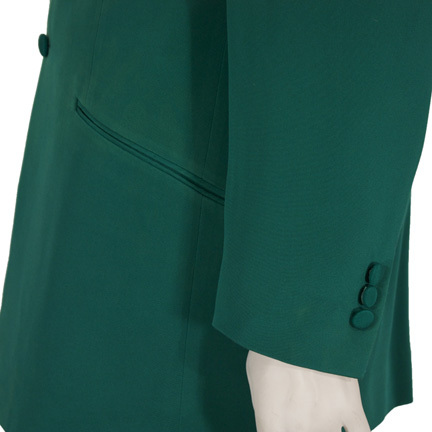 The jacket and pants have become slightly mismatched in color due to natural fading from age and the suit is in very good screen used condition. Accompanied by a letter of authenticity from the costumer.